This is one of the best, if not the only secular resources for learning the Hmong Language from the beginning, as well as learning the grammar of the language. You can download the book here. If you are more of a book person, you can take this file to a place like Office Depot and ask them to make it into a book for you and it will probably cost around $50.00 (ask first, of course). I (Travis) Highly reccomend studying this book if you are wanting to progress in the Hmong language. WARNING: Contains some explicit anitomical images which may be in appropriate for young children. Note – This audio appears to have been orginally part of the section on page 219 of the book which, incidentally, is missing from my copy. If anyone finds they have a copy of this book which includes this section, please let me know and I will eventually upload it. Thank you! Hi Travis and Sarah, I can’t thank you enough for all the info. I am beginning to look at the site and figure out how to use it. 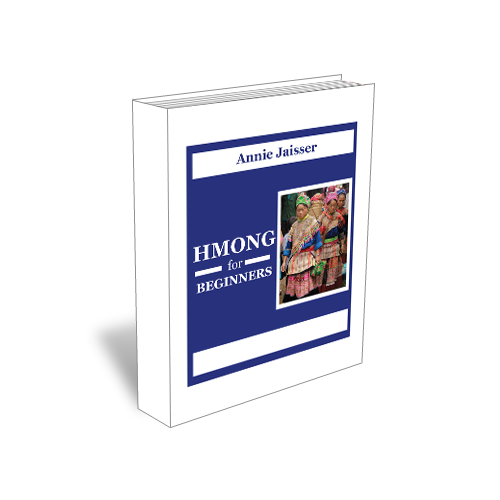 I started with the Hmong for beginners. Quick question. What does the audio correspond to? I opened the pdf of the book but can’t match that with the audio recordings underneath. I’m sorry, I didn’t catch this comment. If you look in the table of contents of the book at page 219 it mentions Audio transcript. Unfortunately this section of the book is missing in my copy. I do not know why. Either I need to find someone with a complete copy of the book or it will have to be a project for a future day to make a transcription. Sorry about that.